The memorial was erected in 1920-21 on land made available by the then landowner, Sir Frederick Cripps. Funding was jointly provided by Sir Frederick and local residents, with an additional £50 granted by an unknown benefactor. The memorial was dedicated during a ceremony of unveiling in 1921. It became Grade II listed on 11th September 2012. 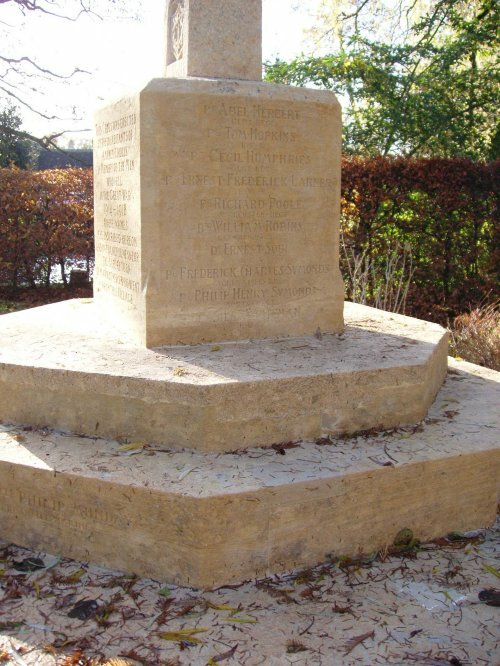 Information published on the Commonwealth War Graves Commission website has now been gathered and details of those commemorated on the war memorial from World War I and World War II are now available on this website. 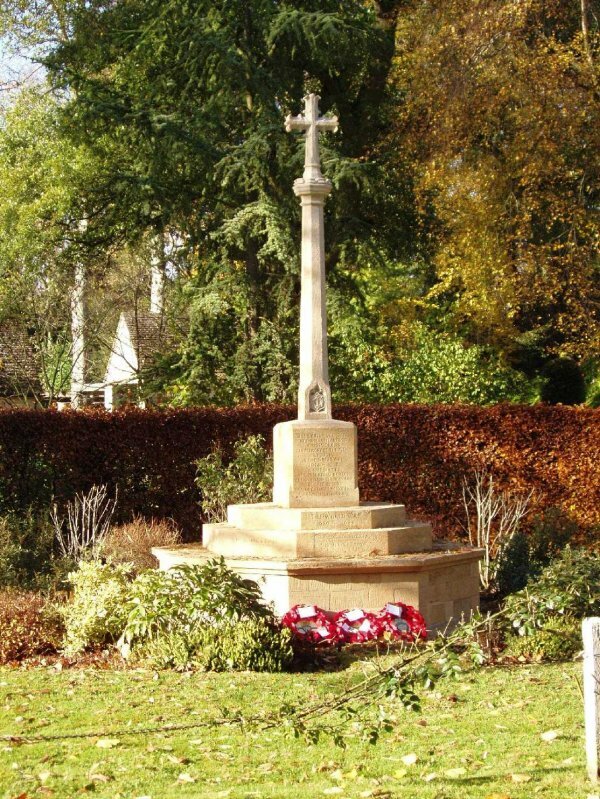 This Cross was erected by the inhabitants of Ampney Crucis in Memory of the Men who fell in the Great War 1914 - 1918 whose names are inscribed hereon and in thankfulness for the safe return of many others who went from this village.